Jeff Bezos, Entrepreneur Extraordinaire: Is Nothing Out of His Reach? As the person who turned online shopping into a national pastime, the CEO of the ultimate digital experience has flipped the script and expanded into brick-and-mortar, with the purchase of Whole Foods. 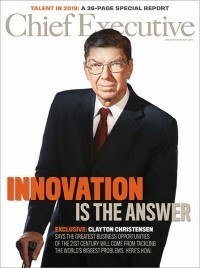 Even his acquisition of the Washington Post gave the firm a brick-and-mortar foothold. Amazon is also expanding its footprint in other ways. It has more than 50 fulfillment centers and is still opening more, 23 sortation centers, and 300,000 employees, 90,000 of whom are full-time. Bezos is also committed to making technology integral to Amazon day-to-day business. While the firm continues to add more human employees, it also has 100,000 robots working at its fulfillment centers. It plans 5,000 virtual customer service jobs in the year ahead, and its Amazon Go self-checkout technology and Instant Pickup service are transforming grocery shopping as we know it today. And with Bezos’ latest foray into rocketry with Blue Origin, the space company he runs, the entrepreneur is even catching the eye of the federal government. Bezos is a member of the Pentagon’s Defense Innovation Advisory Board. With his hands in so many pots, it’s impossible to predict what he’ll do next, but there is no doubt innovational and groundbreaking.